Note: Reflections based on my rare February and March 2013 trips to the Kotel. Based on today’s news, I figured today’s as good as any to post. I’ve been to the Kotel, the Western Wall, way too many times in the past year. Previously, I had a comfortable average of maybe once every two or three years. Maybe less. It felt long enough between trips. And the trips are always for the sake and pleasure of other people. But throughout the last year, I’ve accompanied various visiting family members through the Old City, the pathway inevitably leading to the token Kotel visit. Some pray, some don’t. I never do. The Kotel, the Old City, and even Jerusalem for that matter have come to symbolize discomfort, pain, ambivalence, shame, conflict. I don’t want to pray in those places. I don’t want to pray alongside people I can’t trust. I don’t want to reach deep into myself and summon a spiritual presence in such a political place. You know where it’s lovely to pray? In a forest. There’s plenty of forest around Jerusalem. I live in it. I think it’s a not-so-big-secret that many other ancient sects of humanity get that we don’t. Man-made holiness hurts. Holiness existed before we did. Why wouldn’t we jump over each other to access that? By all means, if the Kotel means something to you, enjoy it. Women of the Wall, Women for the Wall, women who wear falls, women who wear shawls. Men who throw garbage, men who who wear jeans, men who think learning is working, men who think working is earning. 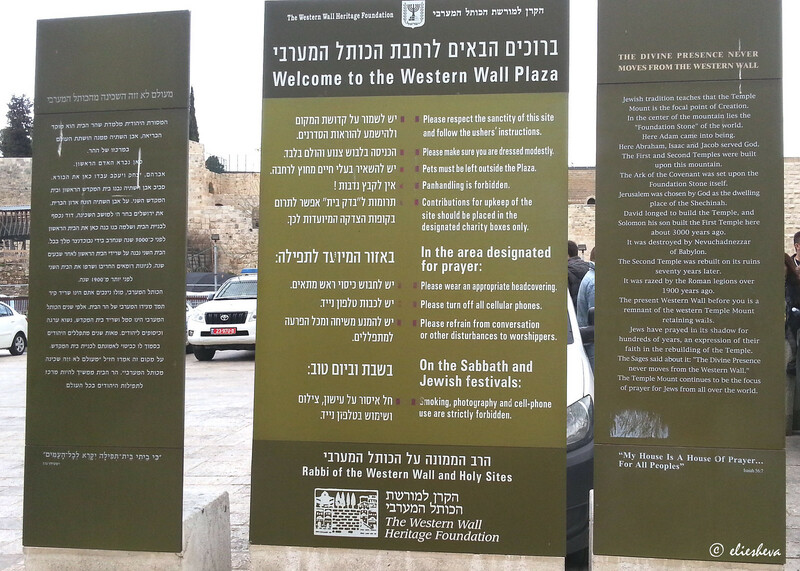 When I’m standing in the Kotel plaza, I’m filled with anger and pain. So please, count me out. Take my spot. I hope though that between me and you and everyone else, some kind of spirituality will eventually solve our crisis. Things I can’t handle #745873: Beit Shemesh Taliban mother and daughters. Visiting the Kotel in March 2013.